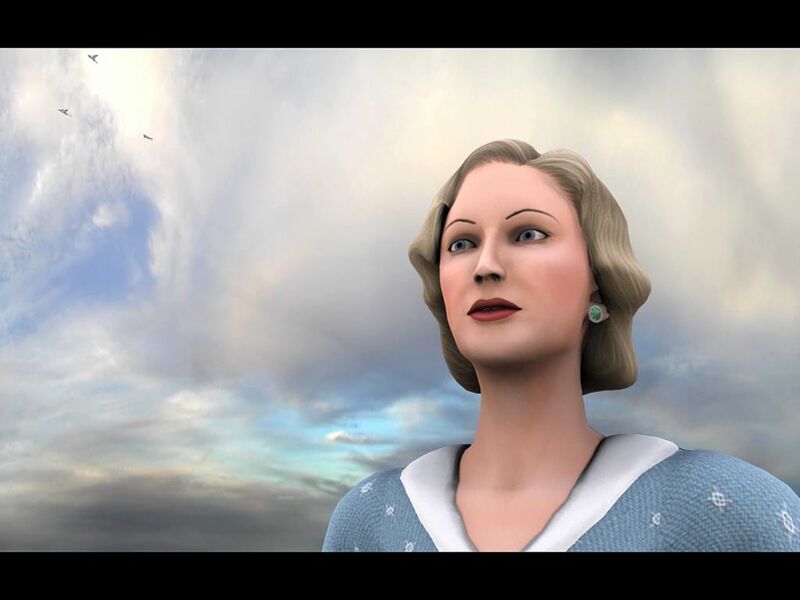 After initial success with "And then there were None", AWE Games and The Adventure Company bring the incomparable Agatha Christie back for a second foray in to the adventure game area. Written in 1934, "Murder on the Orient Express" is perhaps one of the more widely recognized titles in Agatha Christie's collection. Its popularity eventually led to a film version in 1974 starring all time greats such as Betty and Lauren Bacall, Richard Widmark, Albert Finney, Ingrid Bergman, Sean Connery and many others. Police surround an old farmhouse with guns at the ready in what appears to be a tense standoff. Hoping to force the enemy out, they riddle the farmhouse with bullets. The front door flies open. Prepared for a fierce gun battle, the officers ready themselves. But, there is no need. Two men exit slowly from the building, their upraised hands in surrender. What does this have to do with the Orient Express? No clue, at least not now. All will be revealed in due time. 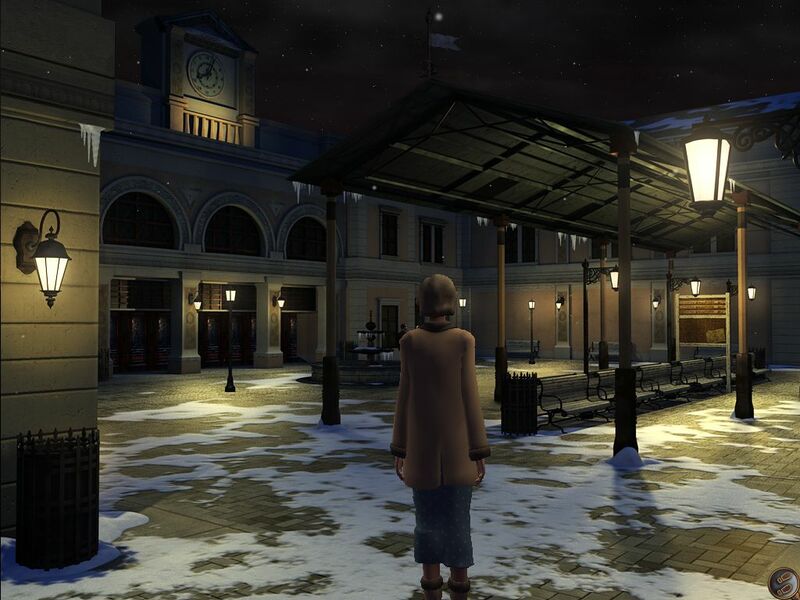 You will play as Antoinette Marceau, an employee of Compagnie Internationale des Wagon-Lits; i.e. the Orient Express. She's quite intelligent and a hard worker. This dedication, however, seems to have been overlooked by management. Of course, the story takes place in the 1930's. Offers of promotions or even equal pay were quite scarce for women. 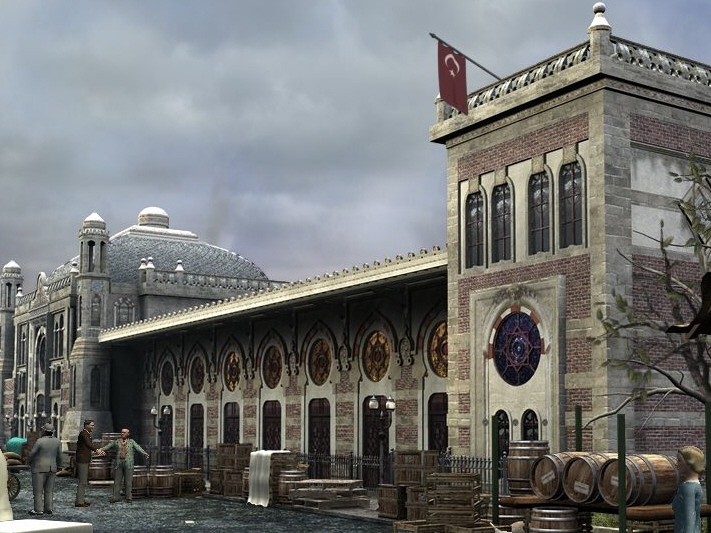 However, due the unexpected arrival of an extra-special passenger who will be boarding in Istanbul, she may just get that promotion if she handles the situation correctly. Who is this passenger and why is he so important? Hercule Poirot is a Belgian investigator of masterful proportions who has made his name known across England. His intuition is spot-on and his ability to understand the criminal mind uncanny. Antoinette is quite the fan of his work. She has even followed some of his most celebrated cases. This will be an for Antoinette. You (as Antoinette) will begin in the square in Istabul. All Antoinette needs to do is make her way to the train. A polite "excuse me" here and there and she should be on her way. However, it seems some of the fine passengers of her train are determined to block the way with little tasks and in some cases; just plain rudeness. Quick investigation of hotspots in the square should solve most of the problems. And, she will get a preview of some of the passengers.....and an even better idea of who to avoid if possible. And, of course, taking care of Poirot will not go as smoothly as Antoinette would like. She'll need to straighten that out as well. Finally, the train is off on its journey. The major work has been accomplished and Antoinette will get a moment to relax and chat with Poirot. 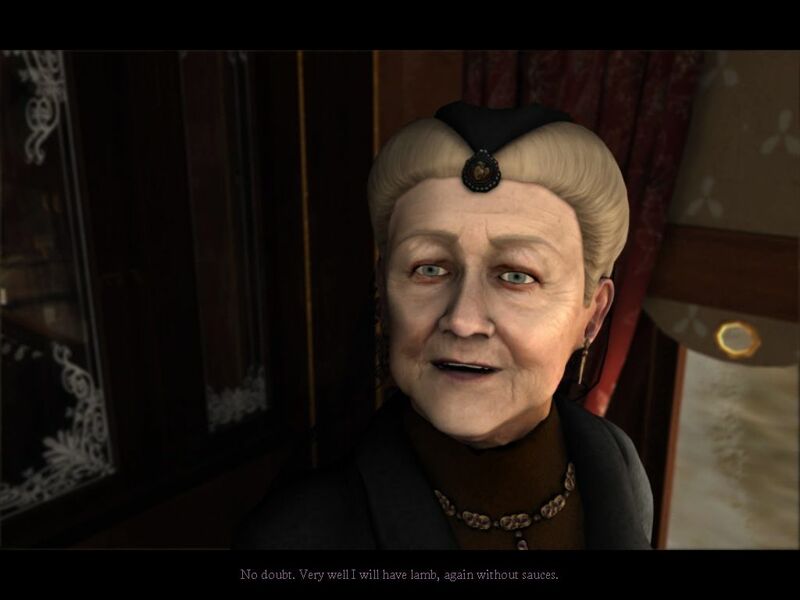 Flattered by her knowledge of his work, Poirot gives Antoinette an opportunity to join his world and to expound on her observations of the passengers. 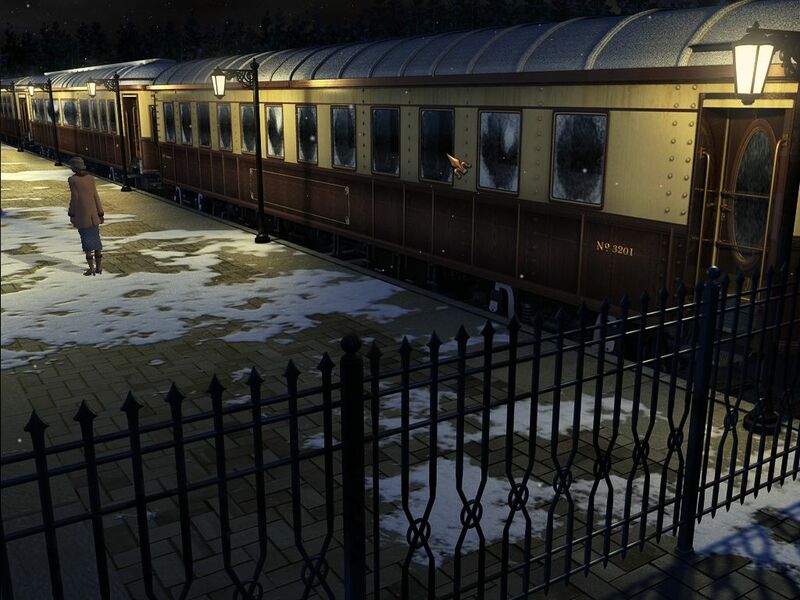 But, this isn't called Murder on the Orient Express for nothing. Shortly after a scheduled stop, the train crashes to a halt as a direct result of an untimely avalanche. The waiting begins for a plow train to clear the tracks. This creates the perfect scenario. It's silently snowing outside and everyone is stuck on the train with nowhere to go. It is the perfect set-up for a murder. And, this is exactly what happens to one of the passengers. Thank goodness Poirot is on board. He will get to the bottom of this immediately. Not so fast... Poirot now seems to be sporting an ankle injury and must stay put. Antoinette will end up taking care of the "legwork" for him. This is where the real work begins. Dark secrets will be revealed. One of the biggest concerns the victim himself. Let the investigation begin! 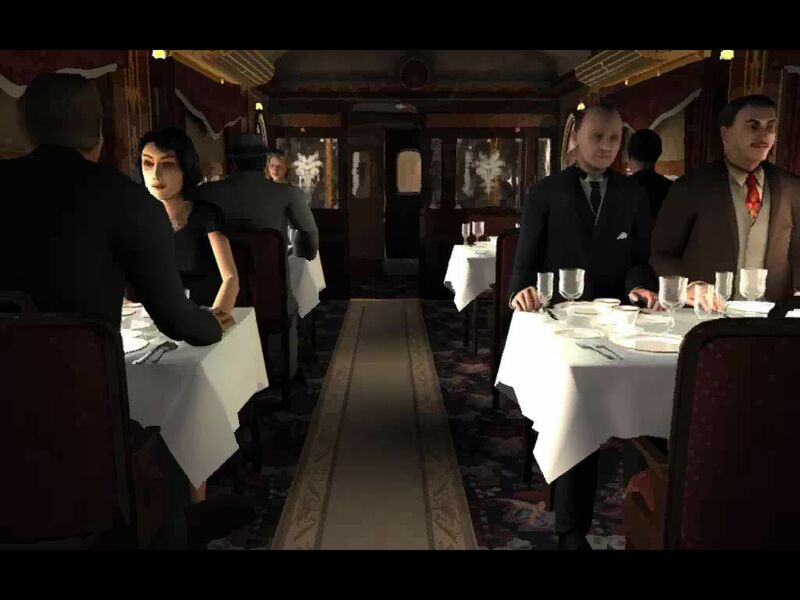 Murder on the Orient Express is a 3rd person point and click mystery presented with a game manual and 2 CD's which load and install with no technical difficulties. Kudos to AWE and The Adventure Company for once again including the novel along with game. It is much appreciated. The main menu can be accessed at the top of the game screen. It is here that you can save, load and exit the game. Options include volume control for music and effect. Brightness can also be adjusted. Then, there are the options to turn on/off text captions, visual special effect and anti-aliasing. The game controls are simple and clearly identified. There are different cursors for examining, opening doors, picking up items etc. Double clicking on the little footsteps will allow Antoinette to immediately move to the next node. The investigation takes place in many forms. 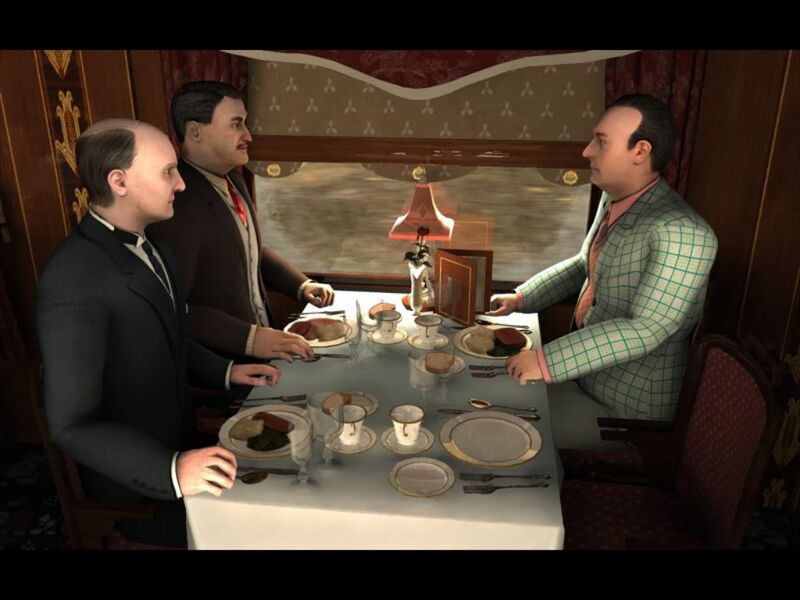 You can talk to all the passengers and after a certain point interrogate them under the authority of Poirot. If a shadow cursor appears, it means you may follow behind someone unnoticed and get to see what they're up to. Sometimes it's what people say behind closed doors that can be the most interesting. Eavesdropping is actually encouraged. Just look for the little ear icon and listen away. It's like being the proverbial fly on the wall......uhmm.....door. The inventory is broken up into 6 different screens. Main Inventory Screen: It is here that you can see all the items/evidence you've collected so far. But, that's all you do in this screen. All other interactions take place in another screen. Examining Screen: Dragging an item to the magnifying glass from the main inventory will allow you to examine the front and back of the item. If there is something special there, Poirot's voice will tell you. Also, there is a scroll bar so that you have the option to view every item without returning to the main inventory. Combining Screen: This was the one part of the inventory screen that was not enjoyable. You choose an item and drag it to the combine icon. The new screen pops up and you can place your item on the left hand side in preparation. Then, you must go back to the main inventory screen and choose your next item. Then, drag and place it again. Click on the combine button and see if you're right. If you're wrong, you have to remove the offending item from the combine screen first, then go back and choose again. This method felt clumsy and irritating. It would have been preferable to combine items on the main inventory screen and just drag one onto the other. Antoinette's scrapbook: This is the most important tool you will use throughout the game. Along with documents received during the game, Antoinette can keep track of suspects. As you collect items from passengers such as passports or fingerprints, the notebook will keep track of it so you'll know if you missed anyone. Even more important is the list of Poirot's instructions. Throughout the game, you have the option to go back and update Poirot on your progress. Poirot will then give Antoinette a list of tasks. The list is updated with additions throughout the game and items are crossed out once you have completed them. The notebook should be checked often and definitely checked if and when you get stuck. Passport & Fingerprint Screens: These are the last two screens. 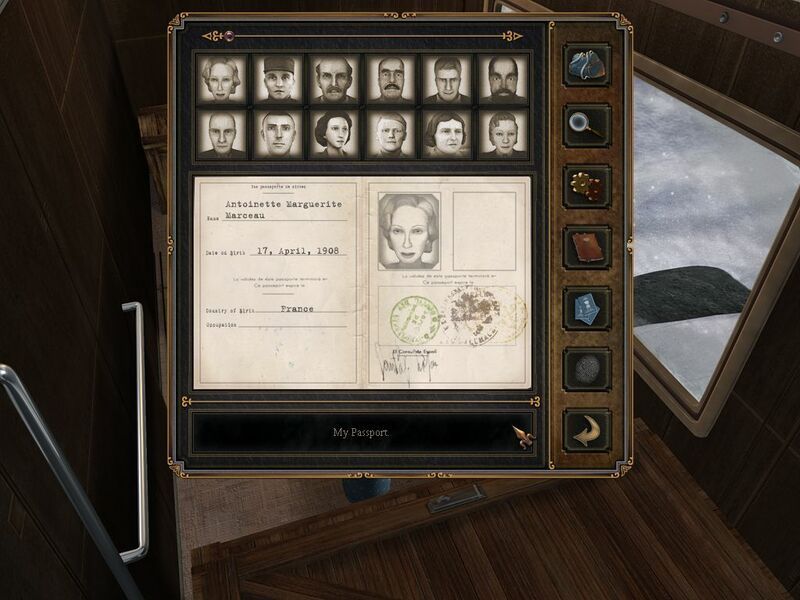 On one screen you can view the passports (complete with pictures, addresses & occupations) which help the memory process as there are 20 people on the train (including Antoinette). In the fingerprint screen, you will be able to compare passenger fingerprints that you've collected to ones found on various items throughout the train. This is fun at first but can get a little tedious considering the number of people. One of the enjoyable features for this reviewer is being able to snoop through everyone's belongings and of course the customary "taking everything that's not nailed down" concept. There's nothing better than looking through someone's suitcase to find out their dirty little secrets. Thankfully, secrets are the only "dirty" things you'll find. No sign of crumpled underwear or other such personal unmentionables. How much walking back and forth is involved? There are approximately 3 nodes in each car when walking straight through. Since you will constantly be searching rooms or speaking to randomly placed NPC's, you will be up and down those cars quite a lot. Double clicking will speed up the process in moving between nodes. A map (of sorts) has also been provided. The various cars are pictured at the top of the game screen. When the game first begins, you will only have access to 3 cars. 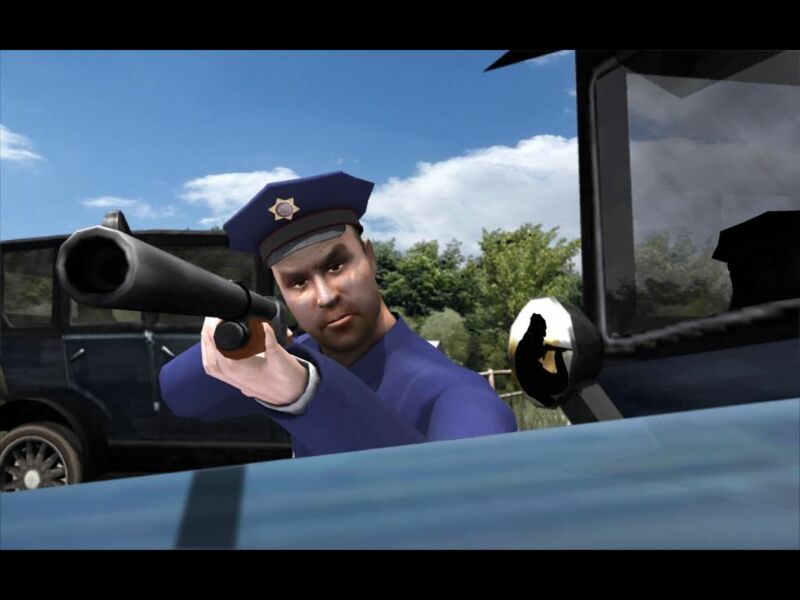 As you progress through the game and find necessary keys, other cars will become available. You can then click on any car and be immediately transported. This is a great feature for there will be times when you need to go from the 1st car to the last. 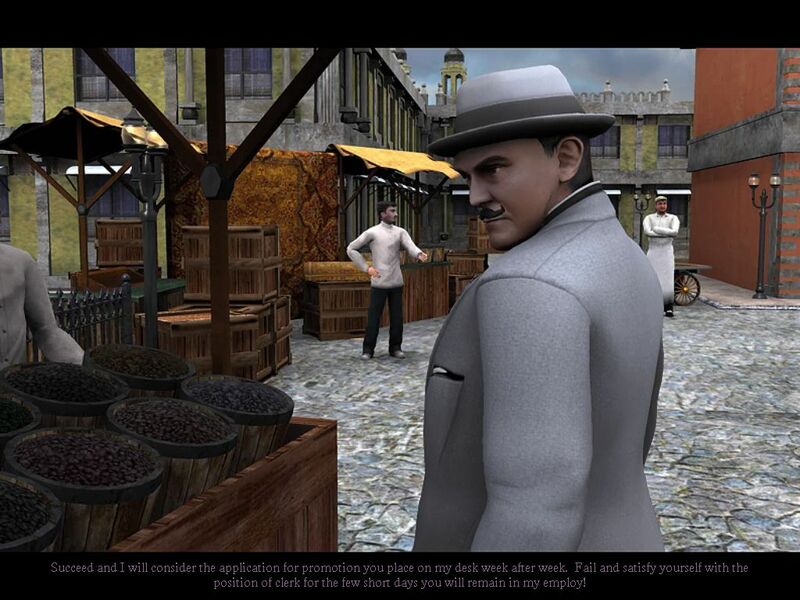 At the beginning of the investigation, you are given a choice of accepting Poirot's challenge to investigate with very little of his help, or to let him direct the investigation fully. Honestly, there wasn't a huge difference between the two. 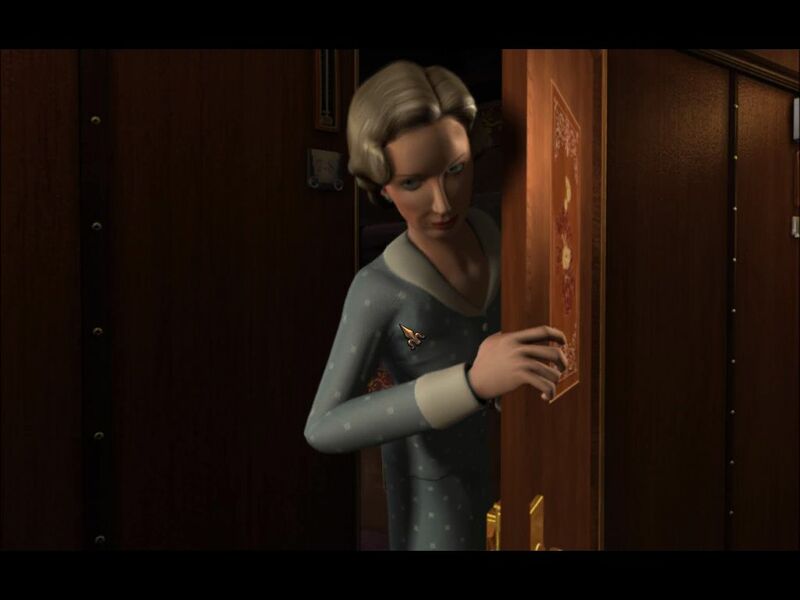 In the "help" version, Poirot would tell me that my report was incomplete and I should check the rooms again or question the passengers again. But, there is no major clue (either in words or the notebook) to let you know what to look for as you search. So, you end up searching the same rooms over and over. You also will get sick and tired of Poirot telling you to use "the little gray cells". Basically, he's calling you an idiot. Apparently, Poirot doesn't believe in thinking outside the box at all. The game is also linear in the sense that there are triggers that must be activated in order to progress to the next step. On playing a second time, I thought I could consolidate tasks together to avoid the repetitious walking on the train, but the game does not allow you to do that. You are essentially forced to complete these tasks consecutively with little overlap. While there seems to be no specific order in which to interrogate the passengers, there were instances where you could ask about something you already knew. For example, I collected a passport from one of the staff rooms, but when I spoke to him later, his greeting was to tell me his passport was in his room even though I already had it. Most of the puzzles are task or conversation related. Tasks such as finding missing ingredients for the chef turned out to be really easy. The standard puzzles you would expect in an adventure game are minimal. There is one box puzzle that is quite easy and a safe that you will need to find the combination to. You'll need to find keys, but you can acquire some of them just by asking at the right time. There are 2 puzzles that require combining multiple inventory items. 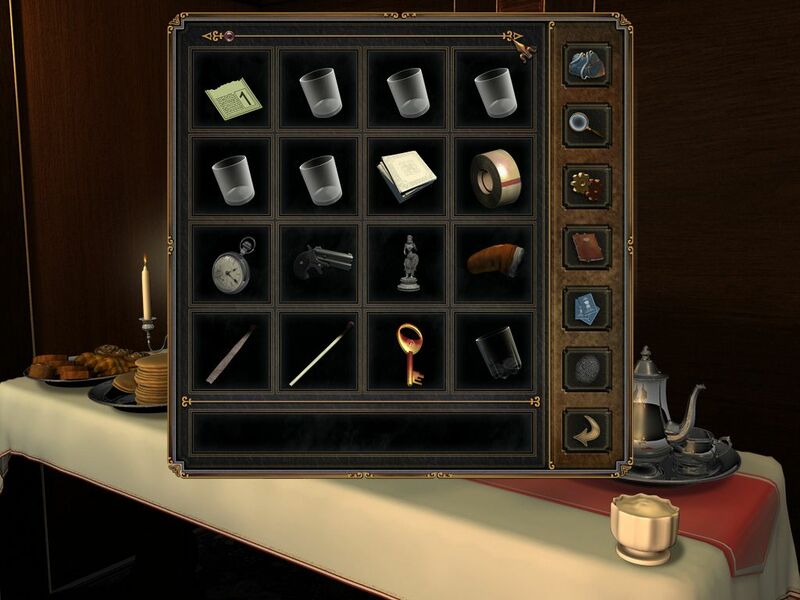 Both of them require that some items be combined in the game while the rest of the pieces must be combined within the inventory screen. When there are multiple items to combine, there needs to be some consistency here. Either do it all on screen or do it all in the inventory. I have no problem with difficulty levels, but found this to be just irritating considering the aggravating inventory interface. There is also a reported problem of an assembly completed within the inventory not working when placed in the game. This, however, has been corrected with a patch. The puzzles integrated quite well into the story but a few more logic or mechanical puzzles would have been welcome. Conversation is the key in Murder on the Orient Express. A good 60% of the entire investigation involves questioning the passengers and staff of the train. Some of the conversations can be lengthier depending on how much of a suspect they are. I personally am a fan of longer dialog, but some of you may be put off by this. It is important to really pay attention to the clues you receive. You will need to know them at the end of the game. Unfortunately, you do not get any choice to make real decisions in your questioning. You basically just click on topics until you've exhausted them all. You can, however, click to move the dialog along. It must be noted that the voice acting is outstanding. What's most important is that the voice fit the characters and that you can believe in the realism of the character. This was most certainly accomplished. Most impressive was the inclusion of David Suchet as Poirot. In addition to his other acting accomplishments, this award winning actor has played Poirot 59 times in television adaptations of Ms. Christie's works. You can't get more real than that. Vanessa Marshall (Antoinette) and Nolan North (Dr. Constantine/ Cyrus Hardman/ Edward Masterman) have both done the voices for so many games, it's easy to lose count! In fact, all the characters are played by accomplished actors. You have likely seen most of them on television. Leigh Allyn Baker (Countess Andrenyi and Mary Debenham) had a recurring role as Ellen on "Will and Grace" in addition to a million other things. That's just four of them. The list goes on and on. I'm including the link so you all can check it out for yourselves: http://www.imdb.comt0815095/fullcredits. It always brings a shiver of pleasure when you can see that tremendous emphasis put on the casting...truly, a solid "A" in this area. You'll be dealing with a wide range of characters. There's royalty, salesmen, a teacher, a colonel, a doctor, an obnoxious American and much more. The character renderings were beautiful for the most part. The bodies were a little stiff in their movement, but the faces were gorgeous. One in particular that stand out is Princess Dragomiroff. Her face is full of wrinkles, yet she maintains quite the regal look. The only wish would be that their faces had more expression during game play. Each character has little body movements that they perform. An example would be Antoinette, when idle, will smooth her dress, brush something off her shoulders or clasp her hands together. She has different movements when she's out in the cold. The backgrounds impress as well. 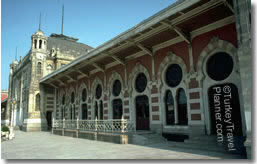 In Istanbul, along with the market square, you will also get to view the Sirkeci train station. 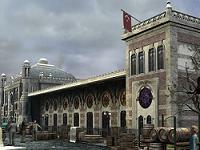 After seeing real-life pictures of the station, it is apparent that great effort was taken to maintain accuracy. If you look up in the sky, the clouds are always moving. 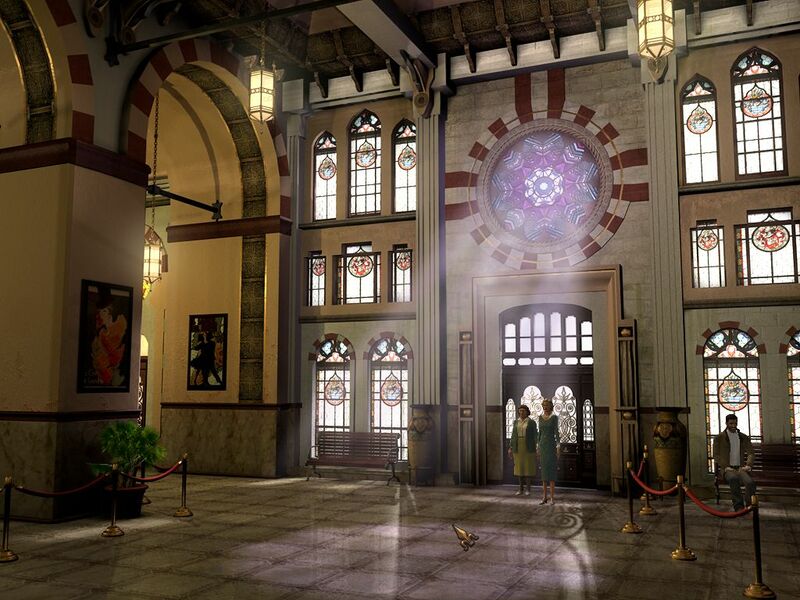 As you walk inside, light streams through the stained glass windows onto the gorgeous tile floors. 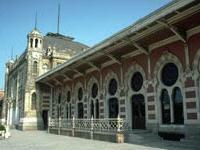 The train itself has 2 sleeping cars, restaurant, salon, a baggage and an engine car. The same can be said for the train itself. In comparing a picture of an actual sleeping compartment to the game, the similarities are obvious. You can find genuine recreations of the lamps, wood paneling and small tables near the windows. Even the door and window handles are duplicated. Out in the hallway, the view looking straight towards the steward's seat is accurate as well. The difference between the 2 sleeping cars is mainly in the color scheme. The Calais car uses more browns and has a pink lamp in each room. The Athens-Paris coach utilizes more blues. My only gripe here would be that all the rooms look exactly the same. Well, shouldn't they? No. Each occupied room is neat as a pin. Everyone's suitcases are fully packed and on the baggage rack. Now, there are some passengers who have staff to keep their area clean, but what about the rest of them? Is it realistic to assume that not one of the passengers is a slob? With the exception of the murder victim, it looks as though everyone has just arrived. And, the staff members being housed in the Athens-Paris coach do not seem to have any bags in their rooms. All they have is a pair of shoes in the closet. I'm not asking for a lot. Perhaps a pair of socks could be thrown on a chair or a tie hanging on the door? Am I the only one who travels and has their stuff strewn all over the room by the end of day one? Antoinette will get the opportunity to get off the train a couple of times. There is one intentional stop for the train and then, of course, the stop caused by the avalanche. There is a veritable winter wonderland out there and Antoinette will get a chance to see it up close and personal. Nice touches are the falling snow seen through every window of the train. And, the landscape is different in each window as well. There are some cinematic cut scenes which are pretty and help move the game along, but they are somewhat pixilated. I thought perhaps it was my graphics card, but it was the same on another computer as well. But, this does not hinder the game or detract from it. The game also makes great use of ambient sounds. It truly feels as if you are there. 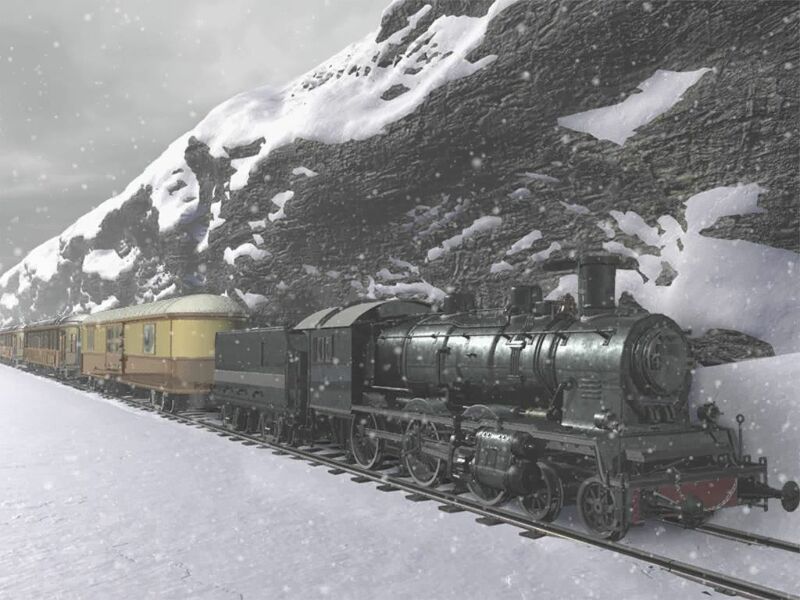 Music is sparse in the game but helps to create the feeling of a wondrous journey on the Orient Express with a hint of danger tucked in behind. So, does the game follow the book to a "T"? I have no idea. I wanted to play the game without having preconceived knowledge. 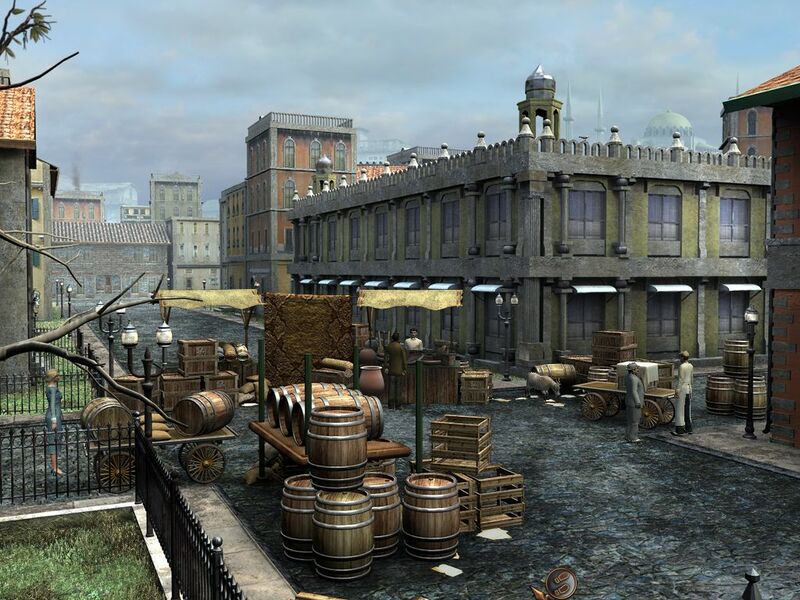 However, I have heard that it does an admirable job and only a few things were dramatically changed for playability. The ending is not at all what was expected but Poirot is able to sum it all up in a neat little package (with your support, of course). Murder on the Orient Express is greatly improved from "And then there were none". While the game has its little aggravating moments, I truly enjoyed playing and taking that step back into history. And, don't forget the snooping......gotta love the snooping! Agatha Christie fans will be pleased and all the rest of you will too. I look forward to seeing even more improvement from this team and can't wait to see which Agatha Christie gem is next in line.